1 x Kansas State (KS) polyester table flag with chrome pin and base. 1 x Kansas State (KS) 15cm x 7.5cm flag sticker for internal or external use. 10 x Kansas State (KS) Paper hand waving flags 21x12cm with stick. 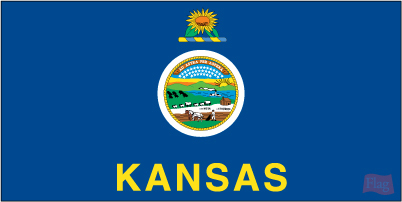 5' x 3' Kansas State (KS) lightweight polyester novelty flag with brass eyelets. 1 x KAZAKHSTAN National polyester table flag with chrome pin and base. 1 x KAZAKHSTAN National 15cm x 7.5cm flag sticker for internal or external use. 10 x KAZAKHSTAN National Paper hand waving flags 21x12cm with stick. 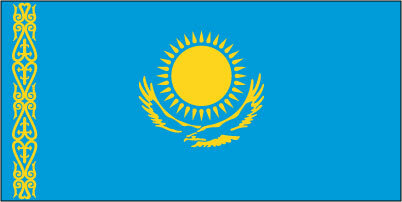 5' x 3' KAZAKHSTAN National lightweight polyester novelty flag with brass eyelets. 1 x KENT County ( INVICTA ) polyester table flag with chrome pin and base. 1 x KENT County ( INVICTA ) 15cm x 7.5cm flag sticker for internal or external use. 10 x KENT County ( INVICTA ) Paper hand waving flags 21x12cm with stick. 5' x 3' KENT County ( INVICTA ) lightweight polyester novelty flag with brass eyelets. 1 x Kentucky State (KY) polyester table flag with chrome pin and base. 1 x Kentucky State (KY) 15cm x 7.5cm flag sticker for internal or external use. 10 x Kentucky State (KY) Paper hand waving flags 21x12cm with stick. 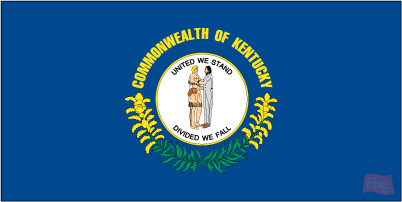 5' x 3' Kentucky State (KY) lightweight polyester novelty flag with brass eyelets. 1 x KENYA National polyester table flag with chrome pin and base. 1 x KENYA National 15cm x 7.5cm flag sticker for internal or external use. 10 x KENYA National Paper hand waving flags 21x12cm with stick. 5' x 3' KENYA National lightweight polyester novelty flag with brass eyelets. 1 x KHMER REPUBLIC National polyester table flag with chrome pin and base. 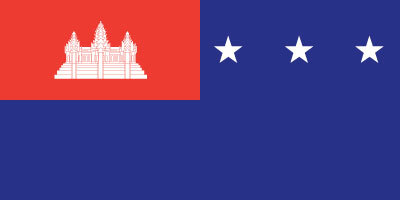 1 x KHMER REPUBLIC National 15cm x 7.5cm flag sticker for internal or external use. 10 x KHMER REPUBLIC National Paper hand waving flags 21x12cm with stick. 5' x 3' KHMER REPUBLIC National lightweight polyester novelty flag with brass eyelets. 1 x King John polyester table flag with chrome pin and base. 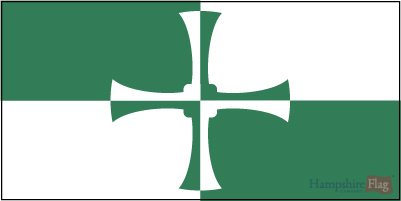 1 x King John 15cm x 7.5cm flag sticker for internal or external use. 10 x King John Paper hand waving flags 21x12cm with stick. 5' x 3' King John lightweight polyester novelty flag with brass eyelets. 1 x King Richard 1st polyester table flag with chrome pin and base. 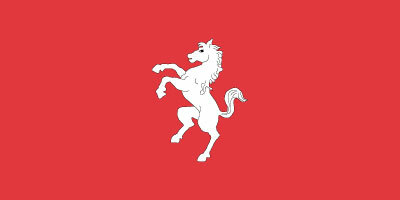 1 x King Richard 1st 15cm x 7.5cm flag sticker for internal or external use. 10 x King Richard 1st Paper hand waving flags 21x12cm with stick. 5' x 3' King Richard 1st lightweight polyester novelty flag with brass eyelets. 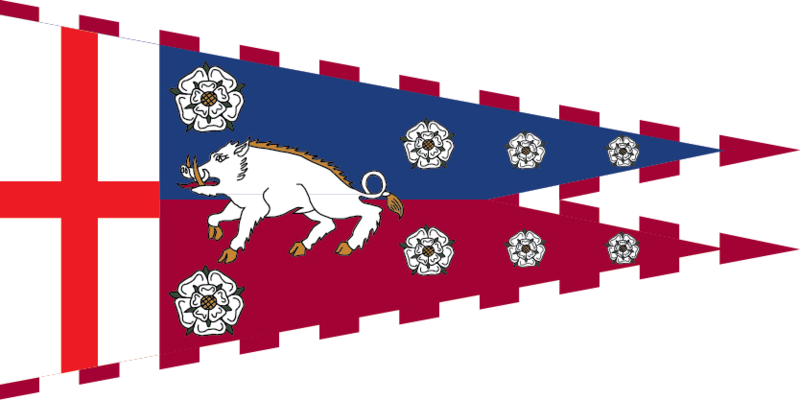 1 x King Richard III polyester table flag with chrome pin and base. 1 x King Richard III 15cm x 7.5cm flag sticker for internal or external use. 10 x King Richard III Paper hand waving flags 21x12cm with stick. 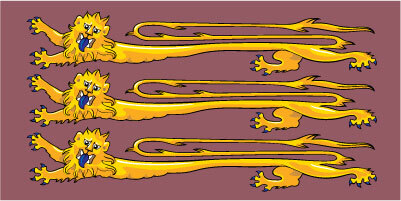 5' x 3' King Richard III lightweight polyester novelty flag with brass eyelets. 1 x Kings Colours polyester table flag with chrome pin and base. 1 x Kings Colours 15cm x 7.5cm flag sticker for internal or external use. 10 x Kings Colours Paper hand waving flags 21x12cm with stick. 5' x 3' Kings Colours lightweight polyester novelty flag with brass eyelets. 1 x KINGS OWN ROYAL BORDER polyester table flag with chrome pin and base. 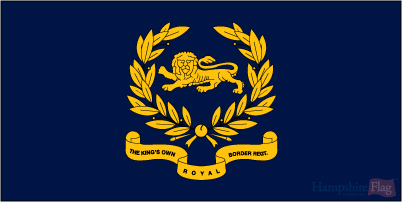 1 x KINGS OWN ROYAL BORDER 15cm x 7.5cm flag sticker for internal or external use. 10 x KINGS OWN ROYAL BORDER Paper hand waving flags 21x12cm with stick. 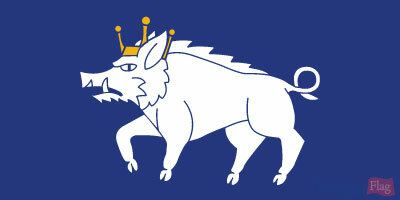 5' x 3' KINGS OWN ROYAL BORDER lightweight polyester novelty flag with brass eyelets. 1 x Kings Regiment polyester table flag with chrome pin and base. 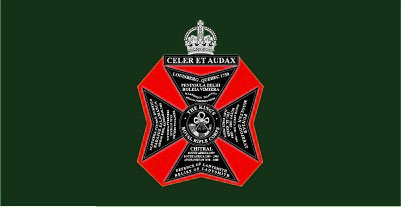 1 x Kings Regiment 15cm x 7.5cm flag sticker for internal or external use. 10 x Kings Regiment Paper hand waving flags 21x12cm with stick. 5' x 3' Kings Regiment lightweight polyester novelty flag with brass eyelets. 1 x Kings Royal Hussars polyester table flag with chrome pin and base. 1 x Kings Royal Hussars 15cm x 7.5cm flag sticker for internal or external use. 10 x Kings Royal Hussars Paper hand waving flags 21x12cm with stick. 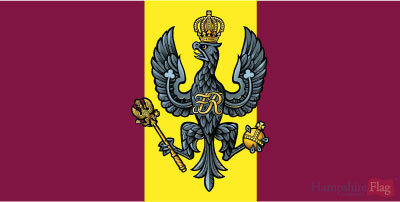 5' x 3' Kings Royal Hussars lightweight polyester novelty flag with brass eyelets. 1 x Kings Royal Rifle Corps polyester table flag with chrome pin and base. 1 x Kings Royal Rifle Corps 15cm x 7.5cm flag sticker for internal or external use. 10 x Kings Royal Rifle Corps Paper hand waving flags 21x12cm with stick. 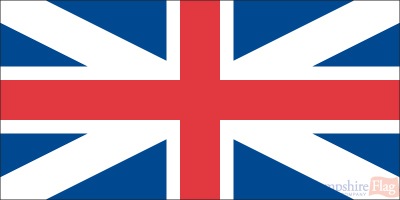 5' x 3' Kings Royal Rifle Corps lightweight polyester novelty flag with brass eyelets. 1 x Kingswinford polyester table flag with chrome pin and base. 1 x Kingswinford 15cm x 7.5cm flag sticker for internal or external use. 10 x Kingswinford Paper hand waving flags 21x12cm with stick. 5' x 3' Kingswinford lightweight polyester novelty flag with brass eyelets. 1 x KIRGHIZIA National polyester table flag with chrome pin and base. 1 x KIRGHIZIA National 15cm x 7.5cm flag sticker for internal or external use. 10 x KIRGHIZIA National Paper hand waving flags 21x12cm with stick. 5' x 3' KIRGHIZIA National lightweight polyester novelty flag with brass eyelets. 1 x KIRIBATI National polyester table flag with chrome pin and base. 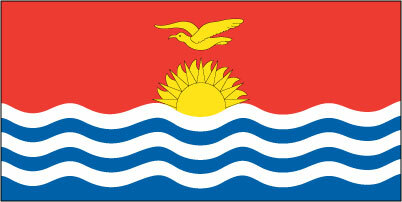 1 x KIRIBATI National 15cm x 7.5cm flag sticker for internal or external use. 10 x KIRIBATI National Paper hand waving flags 21x12cm with stick. 5' x 3' KIRIBATI National lightweight polyester novelty flag with brass eyelets. 1 x Kirkcudbrightshire polyester table flag with chrome pin and base. 1 x Kirkcudbrightshire 15cm x 7.5cm flag sticker for internal or external use. 10 x Kirkcudbrightshire Paper hand waving flags 21x12cm with stick. 5' x 3' Kirkcudbrightshire lightweight polyester novelty flag with brass eyelets. 1 x KNIGHTS TEMPLAR polyester table flag with chrome pin and base. 1 x KNIGHTS TEMPLAR 15cm x 7.5cm flag sticker for internal or external use. 10 x KNIGHTS TEMPLAR Paper hand waving flags 21x12cm with stick. 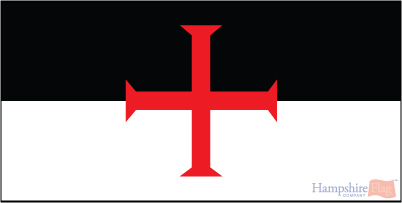 5' x 3' KNIGHTS TEMPLAR lightweight polyester novelty flag with brass eyelets. 1 x KOREA NORTH DEMOCRATIC PEOPLES REPUBLIC polyester table flag with chrome pin and base. 1 x KOREA NORTH DEMOCRATIC PEOPLES REPUBLIC 15cm x 7.5cm flag sticker for internal or external use. 10 x KOREA NORTH DEMOCRATIC PEOPLES REPUBLIC Paper hand waving flags 21x12cm with stick. 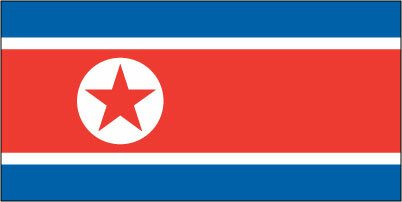 5' x 3' KOREA NORTH DEMOCRATIC PEOPLES REPUBLIC lightweight polyester novelty flag with brass eyelets. 1 x KOREA SOUTH REPUBLIC National polyester table flag with chrome pin and base. 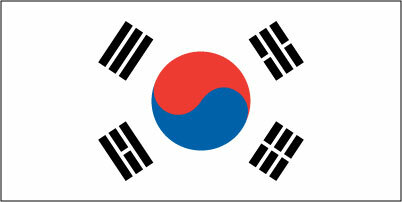 1 x KOREA SOUTH REPUBLIC National 15cm x 7.5cm flag sticker for internal or external use. 10 x KOREA SOUTH REPUBLIC National Paper hand waving flags 21x12cm with stick. 5' x 3' KOREA SOUTH REPUBLIC National lightweight polyester novelty flag with brass eyelets. 1 x KOSOVO National polyester table flag with chrome pin and base. 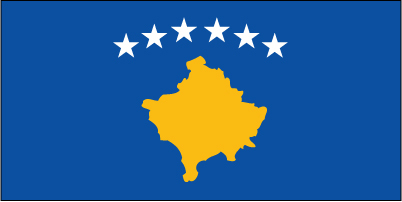 1 x KOSOVO National 15cm x 7.5cm flag sticker for internal or external use. 10 x KOSOVO National Paper hand waving flags 21x12cm with stick. 5' x 3' KOSOVO National lightweight polyester novelty flag with brass eyelets. 1 x KURDISTAN National polyester table flag with chrome pin and base. 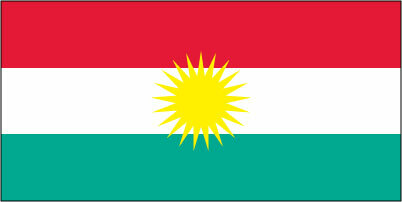 1 x KURDISTAN National 15cm x 7.5cm flag sticker for internal or external use. 10 x KURDISTAN National Paper hand waving flags 21x12cm with stick. 5' x 3' KURDISTAN National lightweight polyester novelty flag with brass eyelets. 1 x KUWAIT National polyester table flag with chrome pin and base. 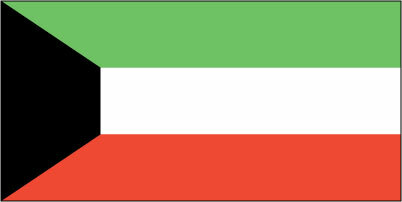 1 x KUWAIT National 15cm x 7.5cm flag sticker for internal or external use. 10 x KUWAIT National Paper hand waving flags 21x12cm with stick. 5' x 3' KUWAIT National lightweight polyester novelty flag with brass eyelets. 1 x KYRGYZSTAN National polyester table flag with chrome pin and base. 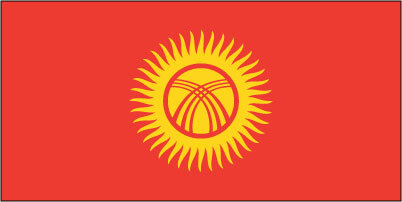 1 x KYRGYZSTAN National 15cm x 7.5cm flag sticker for internal or external use. 10 x KYRGYZSTAN National Paper hand waving flags 21x12cm with stick. 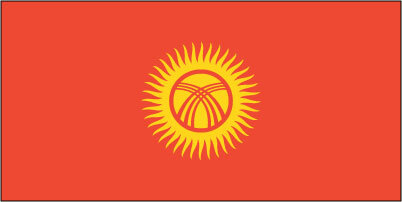 5' x 3' KYRGYZSTAN National lightweight polyester novelty flag with brass eyelets.